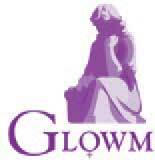 The Global Library of Women’s Medicine is published on a not-for-profit basis by the International Federation of Gynecology and Obstetrics (FIGO), as part of their stated mission “for women of the world to achieve the hightest possible standards of physical, mental, reproductive and sexual health and wellbeing throughout their lives”. It was originally founded, launched and developed by David and Paula Bloomer (at their own expense), in memory of their daughter, Abigail. The site has also been supported from the outset by all its many editors and authors who have most kindly, and very importantly, provided their contributions without any remuneration. This site is made available entirely FREE to all users. It contains no advertising and has no commercial objectives. The material on this site has all been written by specialists and has undergone peer review to the extent that nothing appears on the site that has not been reviewed and approved by at least one other expert, in addition to the specialist author or provider. Whilst, therefore, it is a conscientious process it does not represent the depth and intensity of peer review that is sometimes undertaken by scientific journals prior to the publication of new research data. Every attempt is made to keep the contents permanently updated and at the cutting edge of the topics covered, providing reliable guidance to best current practice. As a result it is hoped that the site will be useful to medical professionals wherever they may practice. However, in addition to all the expert guidance on the latest techniques and treatment that the site provides, a special effort has also been made to include a wide range of practical 'best-practice’ resources that will be of real value to those working in less-resourced locations. In such places, access to good and reliable clinical guidance is often very difficult to obtain and yet it can play a vital role in helping to address the healthcare challenges that are faced. This is particularly the case where safer motherhood is concerned, since it is widely acknowledged, particularly in less-resourced locations, that many young women die unnecessarily in childbirth – not because the knowledge to save them does not exist, but because those who happen to be caring for them do not have that knowledge. A special effort, therefore, has been made to include many features that are designed to support the work not just of doctors but also of midwives, nurses and even community healthcare workers practising in less-resourced locations. Of course it is one thing to make such resources available, but it is another thing to ensure that they actually reach the people they are designed to help. Whilst internet connectivity is now widely available in most parts of the world, it is often in some of the least well-resourced areas that internet access is the hardest. The Global Library of Women’s Medicine recognizes this and is attempting to use every communication option possible to overcome the problem – by providing much of the material via special 3G tablet and smartphone options, by providing the whole of the website resources on memory sticks to selected centres where good internet connectivity is unavailable and by using traditional printed materials where they seem most appropriate (for example, educational wall charts and basic health education materials). Our SAFER MOTHERHOOD APP, which has been developed in association with the African Region of the World Health Organization, is a specially important example of the use of the latest mobile technologies to address the challenges faced in remote rural areas (see www.glowm.com/mother/app). At present, most of the material provided is in English, but we recognize that it is important to try and meet the needs of those for whom English is not their first language, particularly where midwives, nurses and community healthcare workers are concerned. With many of our more practical resources, where voice commentaries are currently provided (as is often the case with our Safer Motherhood material), it is our intention to try and offer other language options. And at the basic level of very simple health messages for community education, an attempt is being made to provide some of these with voice commentary (in addition to text) in order to cater for occasions when literacy itself is a problem. Since voice commentary in local languages can be being added quite cost effectively, these animations are now available in a limited number of different languages. It is FIGO’s hope that we shall be able to continue to expand the range of materials that we offer and also be able to address more effectively the difficulties encountered in making these available to all those for whom they would be useful. In doing this we would like to express our appreciation and gratitude to the many other pioneering and contributive organizations with whom we are working. We recognize that we all have a shared interest and a common goal and that by cooperating together in a positive and open way we can achieve so much more, avoiding possible duplication and any kind of competition. We are particularly grateful to the following organizations for their friendly support and generous cooperation: The Royal College of Obstetricians and Gynaecologists, The American College of Obstetrics and Gynecology, The Society of Obstetricians and Gynaecologists of Canada (SOGC), The African Region of The World Health Organization, The Royal College of Midwives, Medical Aid Films and Mati4life. All material that has been originated by The Global Library of Women’s Medicine is copyrighted by FIGO but may be downloaded. It may also be re-used freely, without permission, provided that this is not for commercial purposes. However, when the material has not been originated by The Global Library itself but has been supplied to The Global Library by another organization their permission IS required and MUST be obtained. We should like to record a special tribute to Professor John Sciarra, of The Feinberg School of Medicine, Northwestern University, Chicago, USA, who was the first Editor-in-Chief of The Global Library of Women’s Medicine. Professor Sciarra devoted a great deal of his time and energy in helping to develop and launch The Global Library and also in encouraging so many leading specialists from around the world to contribute to it. He retired as Editor-in-Chief in December 2012 but remains an important member of the International Editorial Board. We should also like to express our sincere gratitude and deep appreciation to Professor Sir Sabaratnam Arulkumaran, who stepped down in October 2018 as our second Editor-in-Chief. His leadership has been inspirational and it is thanks to his continuing input and idea's that The Global Library is currently expanding so rapidly and developing so many important and innovative initiatives. There is no advertising on this site. The Publisher's are committed to preserving the confidentiality of any personal details that are provided to us. These details will not be passed on or sold to third parties and will only be used by the publishers for general statistical information. Any information supplied to us will be stored securely either in our own databases or in those of our technical partners.